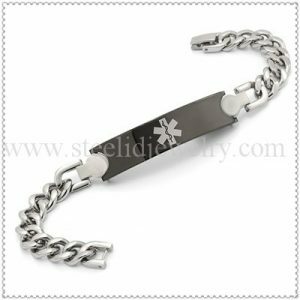 12mm width Stainless steel links with 45mm steel id plaques, 7.5″~8.5″ length, size can be customized. 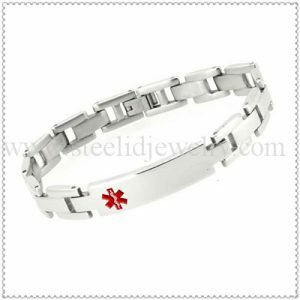 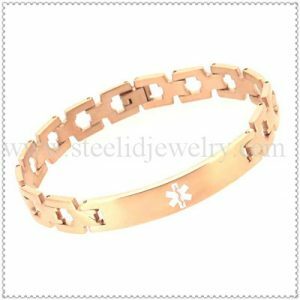 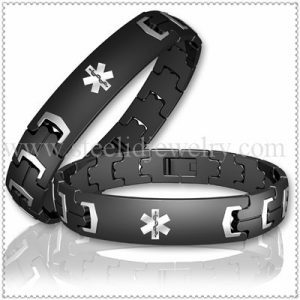 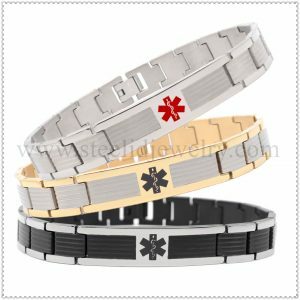 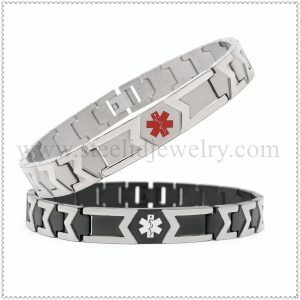 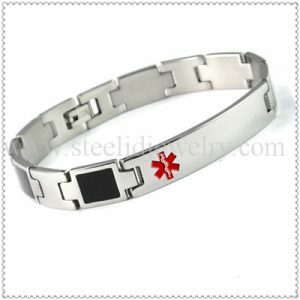 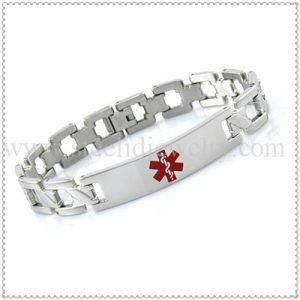 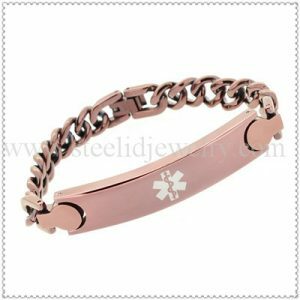 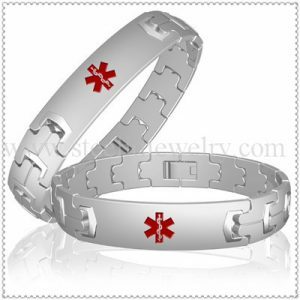 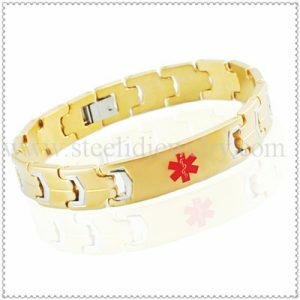 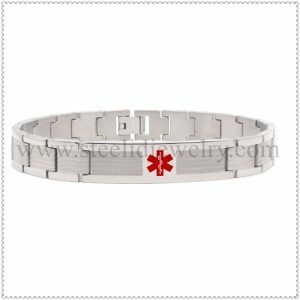 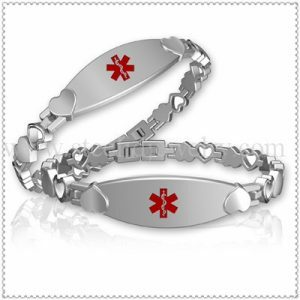 The classical medical ID bracelet with 2500~3000 gauss magnet. 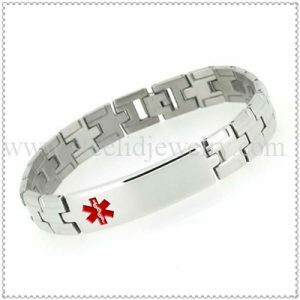 The magnet is very good for health. 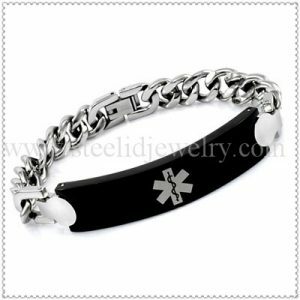 The ID plaques can be engrave o both side. 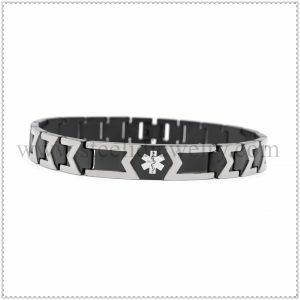 Medical Emblem supports visibility in an emergency. 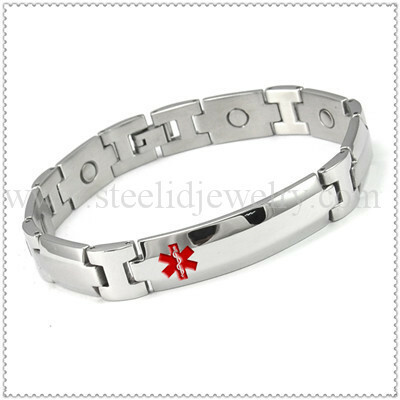 The titanium material is very light, especially suit for allergies.